Have you ever hired a person to do a job and they didn’t deliver? Were you left with the short end of the stick? How did that make you feel? Or maybe you left someone else wanting more? 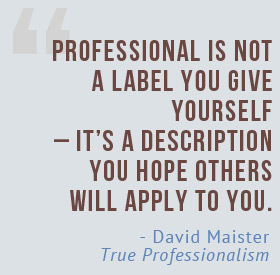 Professionalism is one of the most important qualities you can find in a person these days. Some may even say more important than talent or ability. 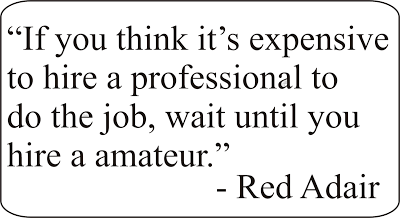 Sometimes I wonder if people aren’t being professional because they simply don’t know how. Before your start to do business, it is vital that you understand the practices that are common to that industries professionals. 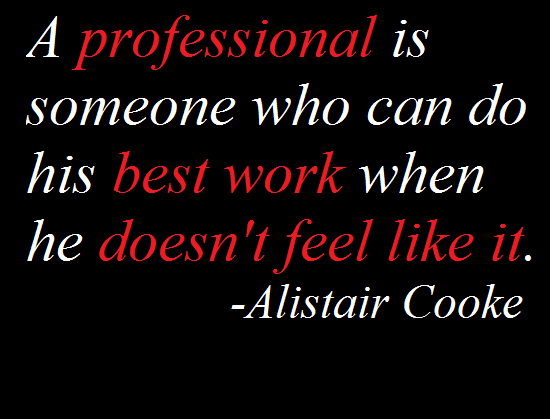 These are a few reasons why we should strive to be more professional, especially if we are in business for ourselves. 2. You want to deliver exactly what you promised. Your reputation precedes you. If you’re known for being late or not giving your best ability, people will talk and they will tell. “I hired with her one time and she did absolutely nothing she said she was going to do.” The saying, “bad news spreads like wildfire” is common for a reason. You don’t want that person to be you. No one wants to be known as a liar. It’s simple, don’t commit to something you know you can’t do. If you’re going to be late, call in advanced. Like you, people seriously value their time. Don’t waste theirs or yours. If you’re asked to do something, and you agree, deliver! And last, communicate. If there is something wrong, it is good practice to always have open lines of communication. I’ve seen many relationships (professional and personal) get strained and eventually disintegrate because people weren’t sharing semantic space. When you don’t tell someone how you feel, your opinions or what’s causing a hindrance in your performance, you leave them to assume and speculate. When people assume they almost never assume the best. People sometimes don’t remember exactly what you said, but they remember how you made them feel. When you deliver the goods, people feel good. They’ll always associate you with a good feeling. Sometimes those feelings can even cause a person to remember things better than they were. They can rest assured, if you’re on the job, it will be done and it will be done well. When you establish a good working/professional relationship with someone they will share that as well. Anytime they need your services they will come to you. If they know anyone else who need your services they will refer you. Happy clients equal more clients. More clients equal more relationships and partnerships which equal more work. In the professional world it’s all about building relationships. People like to work with those they enjoy being around. You have to decide before you even start working, what kind of relationship do you want to have. One that’s strong, pleasurable and profitable? Or one that’s frustrating and draining. You get out what you put in. Comment below and tell me about a time someone lost your business because their professionalism disappointed you.